Minister for Finance and Public Expenditure and Reform Paschal Donohoe presented the second Budget of the Minority Government Fine Gael-Independent Coalition. Minister Donohoe announced that the total Budget package of €1.2bn favours expenditure increases over revenue reductions reflecting the Government’s commitment to invest in key areas such as education, health, childcare and housing. The Minister also announced additional capital expenditure of €4.3bn over the next 4 years. The Minister also announced that employer contributions to the National Training Fund levy (in respect of Class A and Class H employments ) are to increase from 0.7% to 0.8% from January 2018. He also signalled that the levy will rise to 0.9 per cent in 2019 and 1.0 per cent in 2020. There will be no change to income tax rates, personal tax credits or PRSI for 2018. However there are some changes around the tax bands and the Universal Social Charge (“USC” ). The income tax standard rate tax band will increase by €750, from €33,800 to €34,550 for single individuals, and from €42,800 to €43,550 for married one earner couples. Prescription charges for all medical card holders under 70 will be reduced from €2.50 per item to €2 per item with a subsequent reduction in the monthly cap from €25 to €20. The threshold for the Drugs Payment Scheme is to also reduce from €144 to €134. A new Brexit Loan Scheme of up to €300m is to be made available at a competitive rate to SMEs to help with their short-term working capital needs. It was also announced that Consanguinity stamp duty relief is to be maintained at 1% for inter-family farm transfers for a further 3 years. The CGT exemption available in respect of certain property purchased between 7 December 2011 and 31 December 2014, requires that the property is held for more than 7 years. The Minister announced that this holding period for full CGT relief is to be reduced to 4 years, in a measure aimed at assisting the supply of development land available for sale. The leasing of agricultural land for solar panels is to be classified as qualifying agricultural activity for the purposes of Capital Acquisitions Tax (CAT ) agricultural relief and CGT retirement relief, subject to the panels covering no more than 50% of the total farm. The State pension payments are to increase by €5 per week from the last week in March 2018. A €5 per week increase will also apply from the same date to all weekly social welfare payments including carers’ allowance, disability allowance and jobseekers’ benefit and allowance. A Christmas bonus of 85% will apply for all social welfare recipients in 2017. The Minister also announced an increase in the earnings disregard for the one Parent Family Payment and the Job Seekers Transitional scheme by €20 per week, an increase in the threshold for the Family Income Supplement by €10 per week for families with up to three children and an increase in the weekly rate of the qualified child payment by €2 per week. Increases were also announced to the free Travel scheme and the Fuel Allowance, with a new Telephone Support Allowance of €2.50 per week to be introduced for those in receipt of both the Living Alone Allowance and the Fuel Allowance. The Minister also confirmed that a review of carbon tax will be conducted, with a view to bringing forward proposals in Budget 2019 around the role of the tax in driving changes to behaviour in households and business. He also outlined his intention to establish a working group to plan the process of amalgamating USC and PRSI over the medium term. 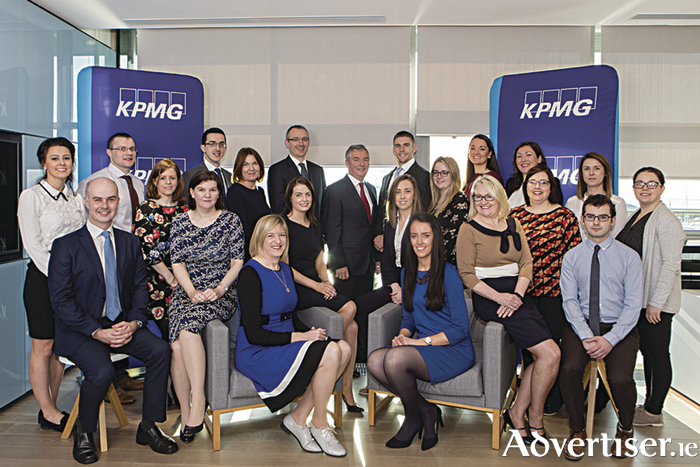 This article was compiled by Paul Macken, Leah Kerr and the KPMG Galway Tax Team, Dockgate, Dock Road, Galway. Tel: 091-534600.